Making minis in cookies especially during the holidays is definitely the way to go! There are so many great Christmas cookie recipes out there that some people wait all year to try, so making them 2 or 3-bite sized means that we can try them all. That is sharing while caring. It's considerate and that's the spirit! 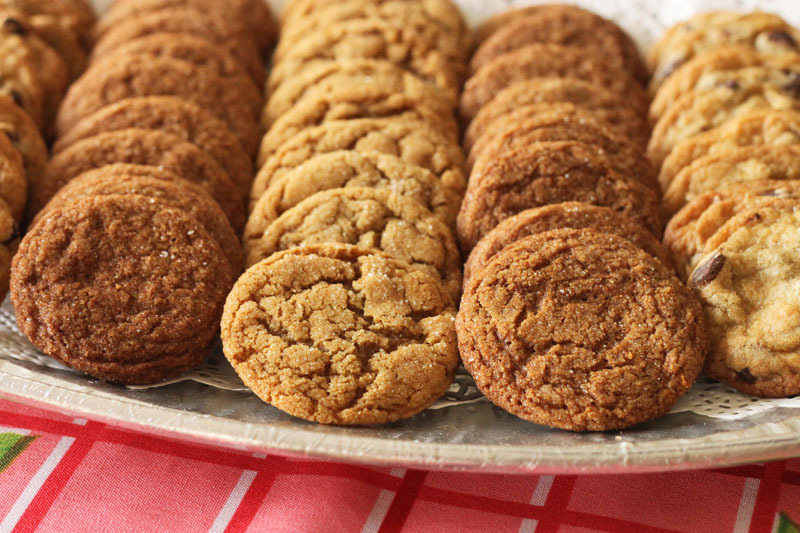 I make these ginger cookies way more than once a year - they're on the regular. 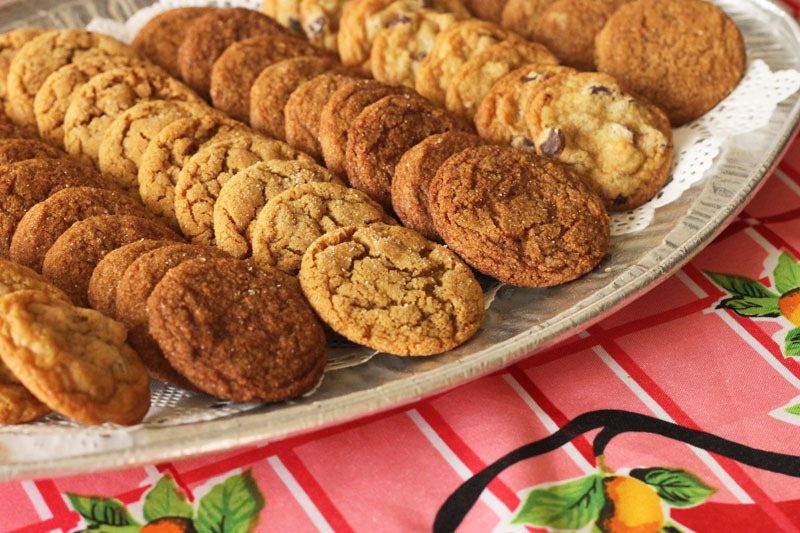 Even those who don't like ginger seem to seriously love these cookies. I don't know what it is, but it's like magic. 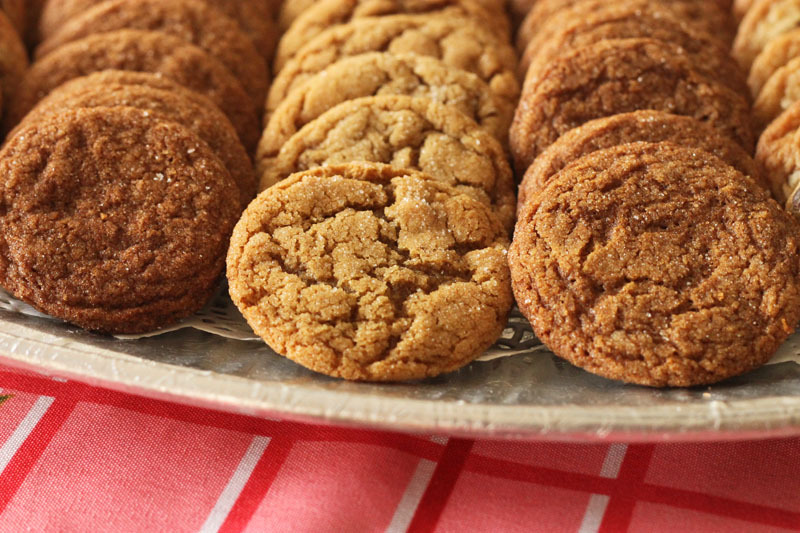 There are so many ways to make ginger cookies. Some have lots of molasses and some have little. Some melt the butter with syrup while others cream butter with sugar. Some use light molasses and others use the dark stuff - it's important you know the difference! Fancy molasses - this is a light molasses (also called "mild") produced from the first boiling of sugarcane and most of the sugar is still retained so that it tastes the sweetest of all the molasses varieties. It is the most runny of the three. Cooking molasses - this is a darker molasses (also called "robust", "dark" or "full flavour") made from the second boiling and sugar extraction so it has a more viscous consistency and a slight bitter taste. I prefer to bake with this when making molasses cookies and gingerbread. Sometimes manufacturers make this type of molasses by blending Fancy and Blackstrap molasses to achieve a similar product. Blackstrap molasses - this is the most viscous and darkest of all molasses types. It is produced after the third boiling and much of the sugar (sucrose) has been extracted. Blackstrap molasses has the most robust and bitter flavour. It is a good source of Vitamin B and minerals such as Iron, Magnesium and Potassium. 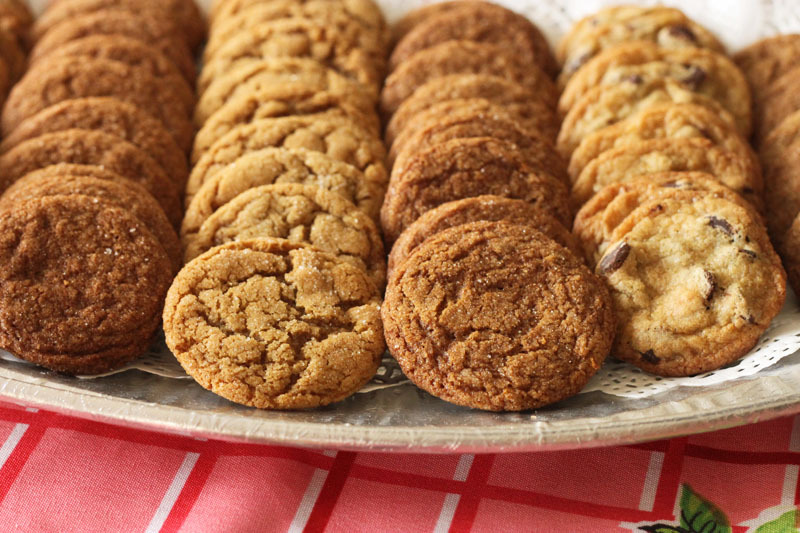 This recipe for the golden, tan-coloured crinkly cookies uses just 2 tablespoons (that's 40g) of the light, fancy molasses to lend a pleasant mild sweet molasses flavour as well as plenty of soft chewiness. The ginger really stands out in this recipe. 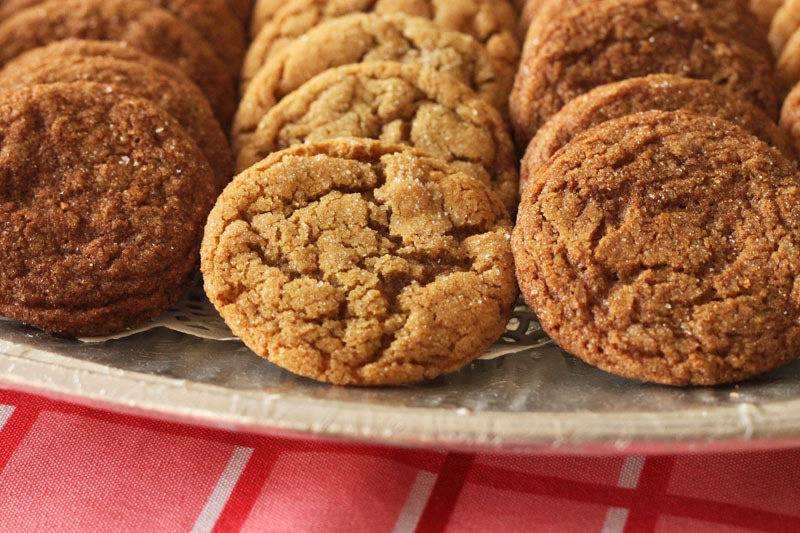 If you were to use blackstrap molasses, you would get a more pronounced bitterness (but still a sweet cookie) and it pairs well with other sweet spices like clove and cinnamon. The best feature of these wonderful cookies? They freeze beautifully and stay perfectly soft for days in an airtight container so you can double the batch and be ready for friends and family! Beat in molasses until well incorporated, about 10 seconds. Add egg and beat until smooth and mixture no longer looks curdled, about 25 seconds. Beat in vanilla until well combined. Scrape down the sides of the bowl with a rubber spatula several times during mixing. Mix in ginger, cinnamon, salt and baking soda. Finally, stir in flour until evenly combined. Place a piece of plastic wrap directly over the surface of the dough to cover it and refrigerate for about 30 minutes. 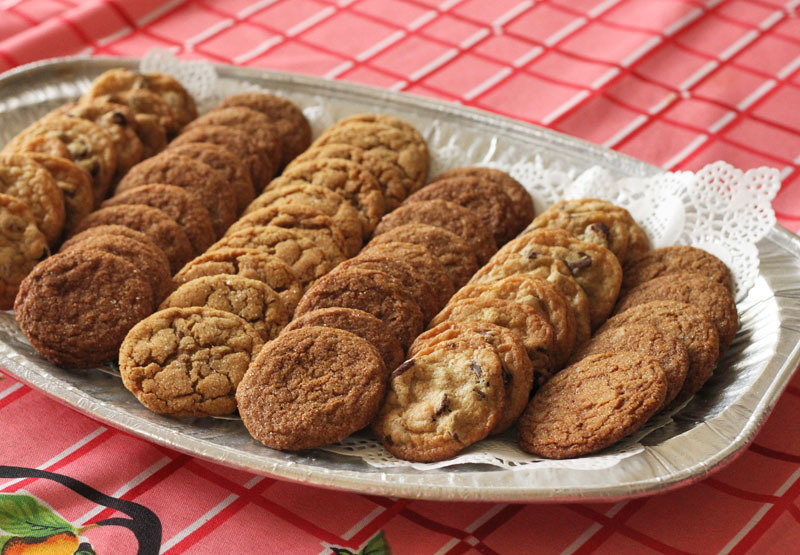 Chilling will allow the dry ingredients to hydrate thoroughly so that the cookies colour evenly and develop a rich brown tone. Preheat your oven to 375°F. Line two large baking sheets with parchment paper and set aside. Place granulated sugar in a small bowl. Roll scant tablespoons of dough into balls and then roll them around in sugar to coat. Transfer dough balls to baking sheets, spacing them 2-3 inches apart and bake until cracked on the surface and lightly browned around the edges, about 8 minutes. Let cool for 30 seconds on baking sheet before transferring individually to a wire rack to cool completely. Dear Christina, happy holidays!!! Thanks for the amazing cookie recipe. I made them last Sunday for my friend’s holiday party and everyone said they were much better than the ones I made last year. I did add a spoonful of grated fresh ginger and a cupful of diced candied ginger because I always have to add something. Hahahaha. Also thanks for explaining about molasses- I never knew there were different kinds. Warmest holiday wishes to you and your family, linda. Hi Christina, I just made these and they are delicious. Thanks for the recipe! But I couldn't get the cracks on top, what could I be doing wrong?